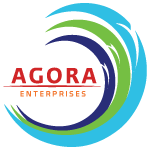 Agora Enterprises trains, empowers and supports socially conscious entrepreneurs to launch sustainable and profitable businesses in communities in the developing world and the U.S urban core. We provide assessment, mentoring and training for entrepreneurs. We provide health insurance and ongoing holistic support to our clients. We provide funding for entrepreneurs through private investors.